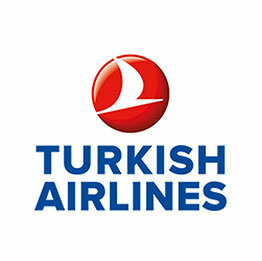 The nominations for the 2017 Turkish Airlines Cricket Ireland Awards have been announced, with William Porterfield, Kevin O’Brien and Paul Stirling all in the running for the Turkish Airlines Men’s International Player of the Year Award. Ireland skipper William Porterfield was the top run scorer in the qualifying period with 849, hitting three centuries, including a highest score of 119 against Afghanistan in the March series. Kevin O’Brien also hit his top score of the season against Afghanistan when he scored 72 not out, one of three half-centuries this season. O’Brien also took 19 wickets with a strike rate of one every 26 deliveries. Paul Stirling won player of the series against Afghanistan in March, in the multi-format tour played at Greater Noida in India. He came tantalisingly close to successive centuries in India, scoring 95 and 99 as he displayed his shot-making ability. Gaby Lewis, Rachel Delaney and Isobel Joyce have been short-listed for the Hanley Energy Women’s International Player of the Year Award. Joyce, a previous winner of the award, is nominated for the second successive year and another excellent season has put her in the frame for individual honours once again. Gaby Lewis makes the short-list after a very good season where she scored 340 runs and has grown to be a clear leader within the young squad that toured Abu Dhabi and South Africa. Rachel Delaney made her international debut this season, playing two ODIs against both South Africa and India. The Sunday Independent Aengus Fanning International Emerging Player of the Year Award sees Jacob Mulder, Aoife Beggs and Rachel Delaney vying for the prestigious award. Jacob Mulder, the young CIYMS Cricket Club leg-spinner is nominated for his season’s work of which the most notable were his fine performances in the Desert T20 in January and his 5-32 against Scotland A in July. Aoife Beggs took 5-52 as Ireland beat Zimbabwe to secure 3rd place after a tough quadrangular tour to South Africa in May. In her second nomination this year, Rachel Delaney has progressed through the ranks from Ireland Under 19, to Ireland A team to making her One-Day International debut this May against India. Delaney also featured as Ireland defeated Zimbabwe in the third place match in South Africa, her 10 overs going for just 31 runs as Ireland won by 19 runs. Youth cricket will be well recognised this year with the Flogas Male Youth Player of the Year, the Devenish Female Youth Player of the Year as well as the Shapoorji Pallonji Academy Male and Female Players of the Year awards. In domestic and club cricket, there are plenty more prizes up for grabs, for both playing and coaching. The Hanley Energy Inter-Provincial Player of the Year Award will go to either George Dockrell, Kevin O’Brien or James Shannon. George Dockrell and Kevin O’Brien were part of the Leinster Lightning squad that won a treble of trophies this season. Dockrell scored one half-century and took an impressive 36 wickets in the 12 matches he played. O’Brien took 9 wickets of his own and also hit 75 against the North West Warriors in the Lightning’s opening day 50-over Cup competition win. James Shannon, captain of the Northern Knights, was the top run scorer by over 200 runs with 754. This included 140 not out against the Lightning to secure a draw in the second match of the championship at Stormont. There will also be an award for the Toyota Super 3 Player of the Year with the awards panel looking to separate the short-listed trio of Kim Garth, Laura Delany and Mary Waldron. The Clear Treasury Coach of the Year award has proven yet again to be a hotly-contested category with shortlisted nominees Julie Logue, Kamal Merchant and Ryan Eagleson emerging from a pool of excellent candidates. After an exciting season in club cricket across Ireland, three clubs have been shortlisted for the Tildenet Club of the Year Award and they are Waringstown CC, Ballyspallen CC and Limerick CC. The O’Neill’s Club Player of the Year accolade see representatives from three Provincial Unions, with Leinster Cricket Club’s George Dockrell, Bready’s David Rankin and Nigel Jones of CIYMS all worthy nominees. All three enjoyed exceptional campaigns and this will be another hard fought category. George Dockrell averaged 65.71 as he helped Leinster CC to the LCU Division 1 title. Nigel Jones top scored with 80 and was named player of the match as CIYMS lifted the Arthur J Gallagher Challenge Cup in the NCU. Bready’s David Rankin scored over 800 runs opening the batting for his club this season while adding an impressive 19 wickets to underscore his all-round credentials. Scorers Andrew Mooney and Mary McElwee have been nominated in the IAA Official of the Year category along with umpire Gerard O’Sullivan. Recognising the incredible hard work that has been achieved in the area, this year sees the introduction of a new category, the Notts Sports Groundsman of the Year. The inaugural nominees are Dale McDonough, Matt Reed and Trevor Hamilton. In addition to the categories with nominations, there will also be presentations for the Gibney’s Outstanding Contribution to Irish Cricket, in honour of John Wright, the Cricket Writers of Ireland Hall of Fame induction as well as one of the most competitive categories, the Oasis Volunteer of the Year, which this year and going forward will be in honour of the late Derek Scott. The winners of all the awards will be announced at the Cricket Ireland Awards on the evening of Friday November 17th in Smock Alley Theatre, Dublin, with live updates on Twitter @irelandcricket throughout the event. Notts Sports Groundsman of the Year: Dale McDonough, Matt Read, Trevor Hamilton.